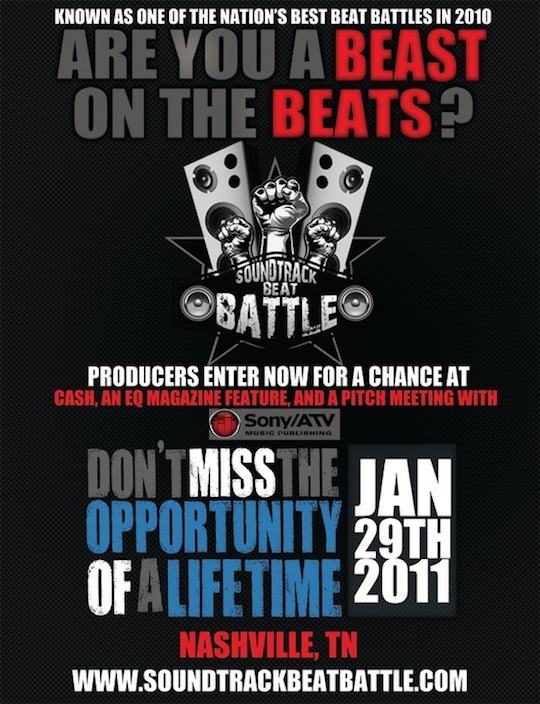 The Soundtrack Beat Battle takes place on January 29th in Nashville, Tennessee. Prizes include cash, a trophy, production kit, a feature in EQ Magazine, a pitch meeting with Sony/ATV, and more. Head over to Soundtrack website for more event or competitor information. Hit the break for highlight footage of past events!